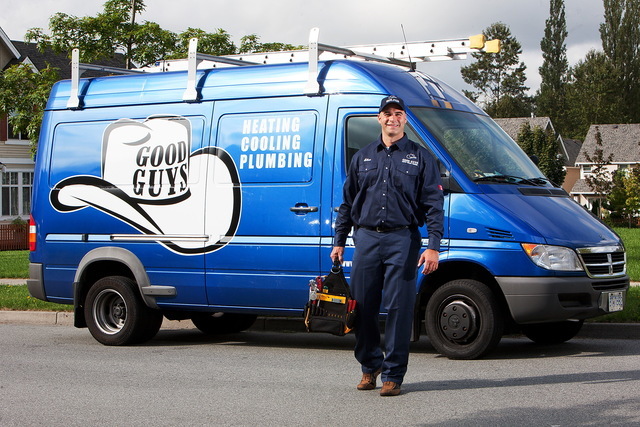 We have used GoodGuys for many years, both for installation and maintenance/repairs. Have always found their Service folks to be (mostly) on time, qualified and helpful. Would recommend them to others. Thank you for your kind words and referrals - they both mean a lot! IThey sent someone who had no experience on my boiler. I wated a week for parts that were in stock. They wanted to flat charge me 6 years of service in 1 visit. When I adked them to break out the charges it was laughable. Even the manufacturer of the said it was rediculous the prices they wanted. I paid the $600.00 for 1 hours work to get out.
. Thank-you to Dylon and Harv for going above and beyond . Wonderful to get the job done. Phoned int he morning and the job was done that day, Great customer service. Thank you so very much for the great feedback about Dylon and Harv! I've had a great experience with Good Guys. They finished installing a ductless heat pump for me this week, and everything was very smooth from start to finish. They showed up on time every day (3 days), took their time to do really quality work, and were very conscientious about cleaning up, working around obstacles etc. A lot of contractors I've dealt with expect you to bend over backwards to accommodate their work, but these guys just took care of everything. All the installers (Ryan, Jacob, Sean) were really professional, but also very nice and personable. One of them even played with my lonely cat who was cooped up and lonely. Also, the receptionist (Jacqueline I think) is super nice and helpful. They aren't the cheapest option, but I think it's worth it for the quality. Thank you so much for taking the time to write a review for us. We have passed your kind words along to your installers. Thanks again! terrible Service, do not use these guys; they came out for a small leak Fortis discovered in a control valve on our gas furnace; when inspected but Fortis they allowed us to continue to use furnace just get it serviced and fixed. Called the good guys heating company and the technician comes out spends less than 5 minutes and quotes me to fix it it will be $900 for the plastic control valve. He then goes on to tell me, it would be better to replace the whole furnace with a new one that starts at $3500 but can go up to $8500. Not happy with the quotes i pay him his $80 for his 5 minute service call. Next day I call the furnace manufacturer Keep Rite and they laughed at the quote I was given to replace it and they set me up with another heating company in Langley. Their technician came out that same day and replaced control valve; parts and labour and service call $185 total. Now had the Good Guys technician quoted remotely close to that dollar figure I would not be doing this review but $900 compared to $185 - that is NOT good business practice. he was trying to get a new furnace sale out of me. next time he should stick to the service side of his job and let the sales people do there's. Thank you for your feedback. We would like to apologize for your negative experience. I have spoken with our technician and looked at the invoice detailing his recommendation at your home. He indicated that you had asked about the price of replacing your furnace. 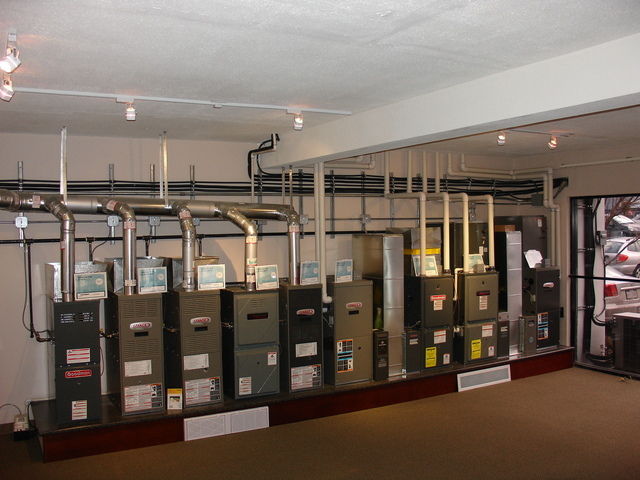 There are many options when it comes to heating systems so we normally ballpark replacement costs from $3,500 to $6,500. Perhaps your $8,500 figure was a typo. To replace the gas valve on your furnace, he quoted $664. This figure covers the cost of the gas valve, the time required to pick it up and install it, plus a full 1 year parts and labour warranty to cover possible manufacturer’s defects. I do not know who you found to do the work for such a low amount, but if they replaced the gas valve, you definitely got a bargain. Their price covers just the cost of the gas valve itself. When it comes to companies in our industry, there are many options out there and customers can certainly vote with their pocketbook. Rather than being the low-cost alternative, we have chosen to run our business based on quality service done by trained technicians. There is a demand for both types of companies. If you would like to contact us to discuss this further in person, feel free to contact us at 604-598-0803. We don’t want to leave you with negative feelings regarding our company. Good Guys came out for their annual maintenance and Steven not only made sure that all the measurements were spot on, he also spend time with me helping me to better use our furnace. He also mentioned the benefits of an electric filter, which I decided to purchase. The next day it was installed, along with further education. Very professional and helpful service from Steven and Good Guys. Thank you so much for taking the time to write such nice things about us! I will pass along the feedback to Steven and the whole team. Have a great day! Our install was done today, about 10 days after they quoted. The original serviceman Adam, and the two installers today - Jeff and Dylan - were prompt, personable, and efficient, and the finished install was very clean. We are impressed with the service, and received a call from their office two days earlier to remind us of the install date. So nice to have heat back in the home, and the new furnace is a huge improvement. We are more than pleased! Thanks for the great review, Nick. Glad to hear your new system is working well. I'll let Jeff, Dylan, and Adam know- I'm sure they'll really appreciate it. This company contacted us after my review and although I did not expect this they really put out an effort to resolve the situation, and more besides. I am happy to be able to share this better story about "Good Guys"... and add that they have someone there who.does care about customer care and follow-up. Installed Goodman GMVC95 high efficiency furnace on Nov 8, 2010. The furnace motor died today, Aug 5, 2016. Unhappy that it lasted only 5.5 years. Parts were still under warranty, but still had to pay almost $600 for labour. Ouch. Service was good and I signed up for the "Comfort" membership - 13.95+tax/month entitles me for one service (furnace tune-up, cleaning, check-up) per year. I originally declined this membership offer on the initial installation. Service, repair, and installation of furnaces, boilers, air conditioners, heat pumps, hot water tanks, tankless water heaters, air conditioners, and plumbing systems. A division of Allin Plumbing & Heating. Furnaces, heat pumps, boilers, hot water tanks, tankless water heaters, plumbing, air conditioners, indoor air quality, air filtration.